K ANSAS CITY, Mo., (May 5, 2016) – Mpress announces PIA MidAmerica honored the company with three of its prestigious awards for its printing work on the Kansas City Art Institute viewbooks and the 2016 Stowers Institute for Medical Research calendar. Printers from around the Kansas City metropolitan area submit entries representing their best work over the past year, which are judged by their industry peers. The awards were announced at the award banquet held on April 28, 2016 at the Uptown Theater, culminating the organization’s annual Graphic Excellence Competition (GraphEx). GraphEx was created in 1989 to recognize the outstanding abilities of print producers to transform paper and ink into outstanding forms of communication. Since the industry is comprised of very diverse companies, the competition has over 300 categories in three different divisions. The categories reflect products such as: annual reports, brochures, letterheads, newsletters, direct marketing, presentation folders, cross media campaigns, and much, much more. Divisions are determined by size of company. 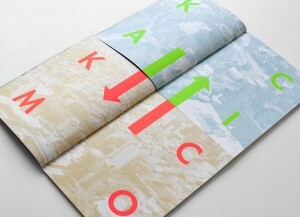 Design Ranch created a unique design that pushed Mpress’s capabilities to their limits. 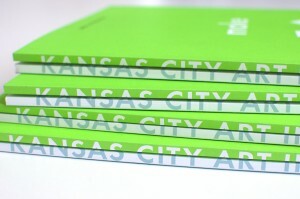 The two-part Kansas City Art Institute viewbooks won the Best of Category award in the “They Say It Couldn’t be Done” category. This same piece also won the top award of the night with the “Best of Show – Kansas City” award. This highest honor is selected from the best of all categories and all divisions, with small and large printing companies competing on the same playing field. “When I first reviewed the design, I thought that maybe it could not be done. 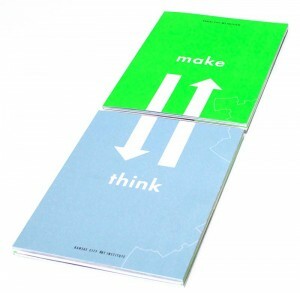 Collaborating with the designers, client and production staff, a plan was worked out that made it work, and work well enough to win the awards. More importantly, it pleased our customer,” explains Ralph Myers, co-owner of Mpress.